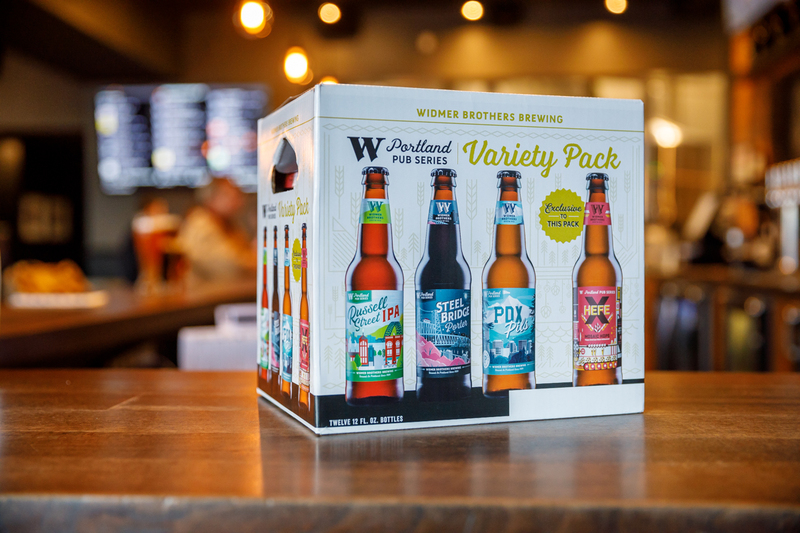 Widmer Brothers Brewing released a redesigned version of their Portland Pub Series Variety Pack. Paying homage to the brewery’s birth city, the beers feature Portland landmarks with playful illustrations. Russell Street IPA is a beer that was previously only sold in the Widmer Brothers pub. 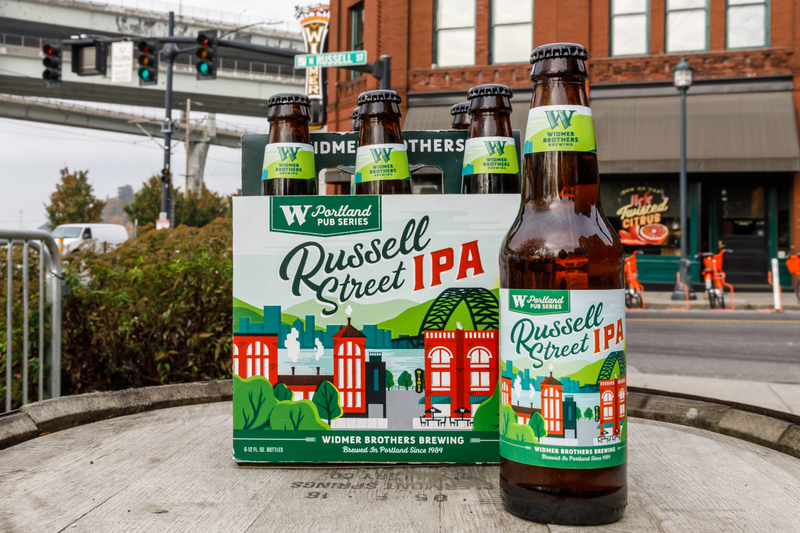 In hopes of sharing a crowd favorite with Widmer fans throughout Oregon, the brewers decided to bottle the beer and pair it with a label that truly embodies the street that the brewery has been located since 1984, Russell Street. For the PDX Pils bottle, Widmer Brothers partnered with a local retail shop, Portland Gear. Boasting the iconic Oregon outline in the "P", this label has marked what turned out to be a successful partnership between the two companies while respecting their originating city. Steel Bridge Porter's label reflects the short period in Portland in which the cherry blossoms bloom. The view of the cherry blossoms and Steel Bridge in the background draws crowds from all over. 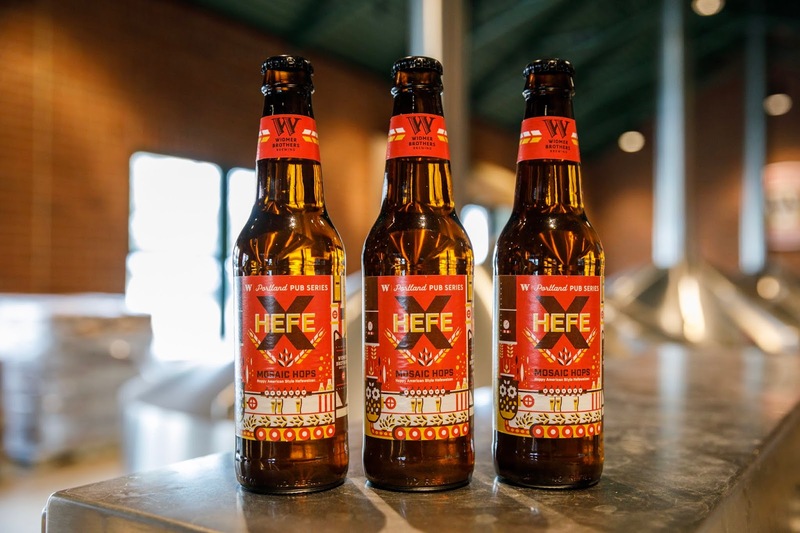 Hefe X is a twist on Widmer Brother's flagship beer, Hefe. The label tells the creative process of grain to bottle with an industrial feel. 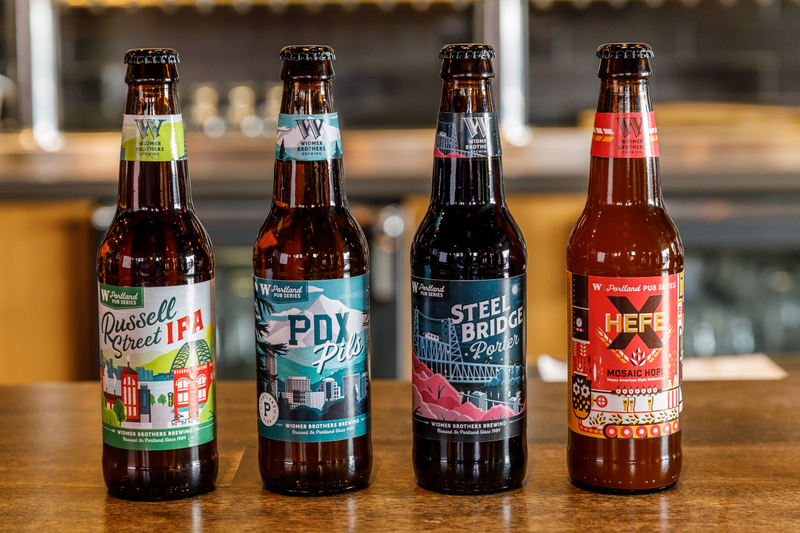 The illustrations on the beers are completely revamped to show a modern take on the city Widmer Brothers call home.